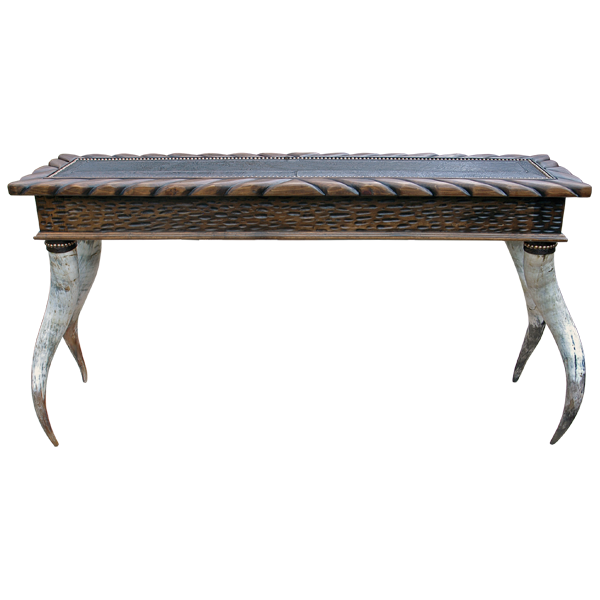 With its steer horn legs, this handcrafted, Western style console will be a wonderful complement to your Western décor. 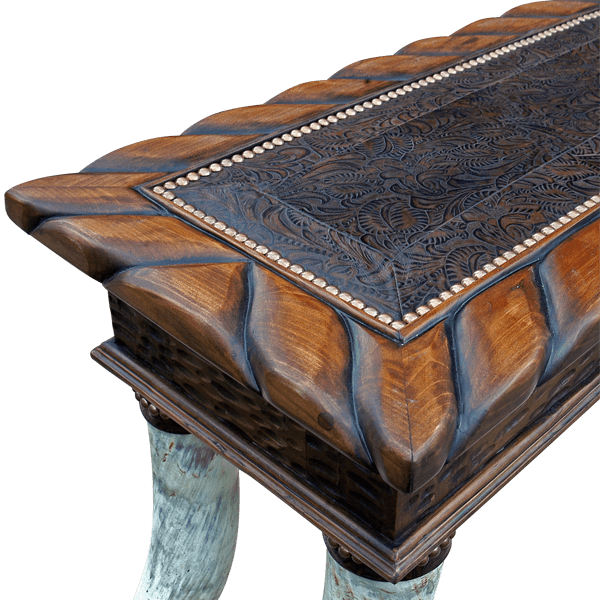 The console has an open, wide top, and the top is partially covered with a rectangular design of patterned, full grain leather. The leather design adorning the top is bordered by a hand carved, leaf like design. The leather is hand tacked to the top with beautiful, gilt nails, and the leather is double stitched together for extra strength and durability. 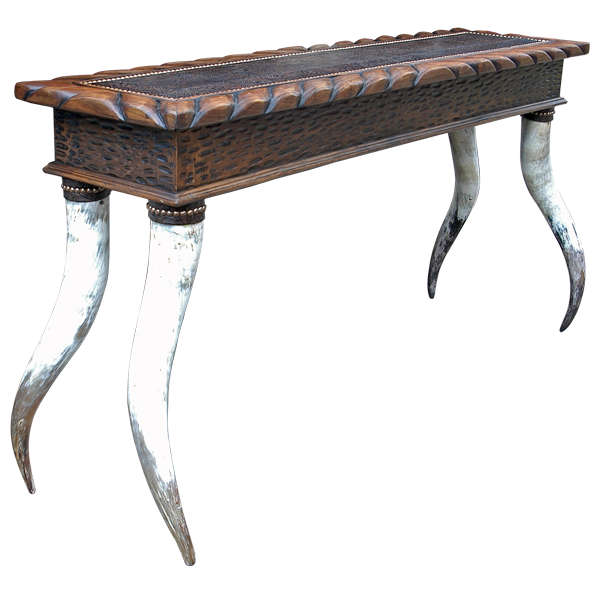 The top rest on a solid wood base, and the base is embellished with a hand tooled, textured design. The lower part of the base is enhanced with a staggered, wood molding. 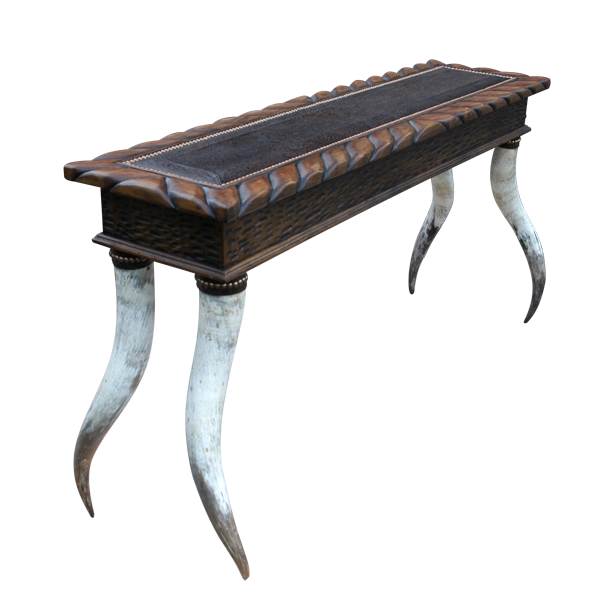 The console rest on long, dramatic, inverted steer horn legs, and it is made with the best, sustainable, solid wood available. It is 100% customizable.